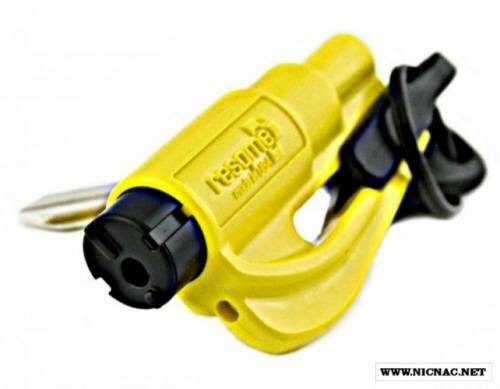 Res Q Me emergency rescue tool with seat belt cutter and spring loaded window punch. VERY effective yet small an lightweight. Attaches to keyring, belt, web gear, carabiner etc. for easy access. Everyone should have one in their car or better yet on their keyring! Save a life and get one for every member in your family.